You may not need an emergency dentist for tooth pain. What if you could stop a cavity from growing until you’re ready for a tooth filling or crown? According to the Ohio Department of Health, Silver Diamine Fluoride (SDF) is a FDA-approved liquid antibiotic that can help prevent further tooth decay. If you have dental anxiety preventing you from getting the care you need, our dentist may recommend SDF to “buy time.” Our dentist may also recommend SDF if your child is too young to cooperate long enough for a crown or cavity filling. During the procedure, our dentist won’t have to inject local anesthesia or drill out decayed tooth matter. Instead, the antibiotic hardens the cavity so it’s less likely to spread to the rest of the tooth or nearby teeth. During the procedure, our dentist will dry the decayed tooth before painting on SDF. Once the SDF has a minute to dry, our dentist will rinse the tooth or apply fluoride varnish. Don’t be alarmed when SDF turns the decayed part of your tooth black. This is a sign that the treatment is working. You’ll need to return to our dentist office the following month so we can determine whether you need another coating of SDF or tooth repair. After your follow-up appointment, our dentist will need to see you every 6 to 12 months until you can get a permanent fix—like a dental crown or filling. In the meantime, SDF will help relieve tooth sensitivity. Dr. 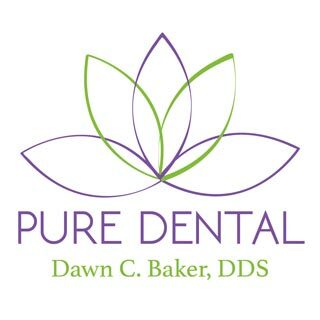 Dawn C. Baker DDS and her team are dedicated to helping patients maintain healthy smiles with Silver Diamine Fluoride and other dental services. To schedule an appointment with our Gahanna dentist, call Pure Dental at (614) 475-7580.